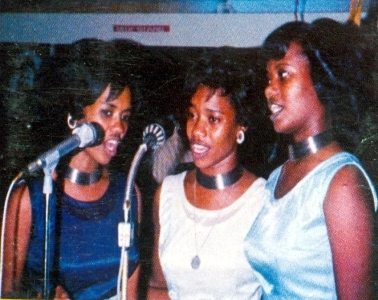 Formed in 1971, Al Balabil ("the Nightingales") is a trio of sisters (Hadia, Amal, and Hayat Mohammed Abdel-Majid Talsam) who were active in Sudan's popular music scene during the 1970s-80s. Female performers in Sudanese popular are rare, and the sisters credit their liberal Nubian heritage for allowing them to appear on stage. Al Balabil stopped performing in 1988 when two of the sisters left Sudan. However, they have since reunited on several occasions to perform in New York, Khartoum, and Chicago. Al Balabil's musical style is consistent with much of the Sudanese popular music of this era: pentatonic Sudanese scales, heterophonic texture, and a variety of instruments adopted from the Arab world and Europe. The sisters also occasionally utilize Nubian rhythms and other folk music elements from the north of Sudan into their songs. The following playlist is a combination of recordings from Al Balabil's heydey in the 70s and 80s as well as more recent performances after their separation and reunion. Also included is an extensive interview with two of Al Balabil's members, Amal and Hadia, aired in 2016 on Al Jazeera. “‘Honey, We’re Better than the Supremes’: Sudan’s Girl Band Going Strong 45-Years On.” 2016. The Guardian. April 21, 2016. http://www.theguardian.com/world/2016/apr/21/sudans-girlband-the-nightingales-world-tour-sudanese-supremes. “The ‘Sudanese Supremes.’” 2016. Streaming. The Stream. Al Jazeera. http://stream.aljazeera.com/story/201606211356-0025234. Alsarah is a contemporary Brooklyn-based singer originally from Khartoum, Sudan. She founded her band, Alsarah and the Nubatones, in 2011, and they perform what Alsarah describes as "East African retro pop," drawing musical influences from Nubia, other areas of Egypt and Sudan, and East Africa. Alsarah particularly cites North and East African popular music from the 1970s as a significant inspiration. Alsarah and the Nubatones perform a mixture of covers and original compositions. The first song on the playlist, "Habibi Taal" ("Come Here, My Love") is from the group's premier album, Silt. It is a rendition of a women's song from central Sudan, traditionally performed at weddings. "Habibi Taal" exemplifies the group's style: North African percussion and 'ud are featured alongside an electric bassline and drum kit, and the infectious rhythm hints at the song's original purpose: dancing. The second song, "Ya Watan" ("Oh Homeland"), an original composition, is a lament for the political unrest in Alsarah's home country, Sudan. The last video on the playlist is a setlist performed live at NPR Music's Tiny Desk Concert series. “Alsarah: Official Web Site.” 2018. https://www.alsarah.com/. Backer, Sam. 2014. “Alsarah: Why You Need Retro East African Pop In Your Life.” Afropop Worldwide. May 19, 2014. http://afropop.org/articles/alsarah. Aizenman, Nurith. 2016. “Born In Sudan, Based In Brooklyn. A Singer Remixes Her Identities.” NPR. December 9, 2016. https://www.npr.org/sections/goatsandsoda/2016/12/09/500734945/born-in-sudan-based-in-brooklyn-a-singer-remixes-her-identities. Killakam. 2014. “Watch Alsarah & The Nubatones’ Cairo-Shot Video For ‘Habibi Taal.’” OkayAfrica. October 20, 2014. http://www.okayafrica.com/alsarah-nubatones-habibi-taal. Asnaqetch Werqu (may also be spelled Asknakech Worku) was a beloved Ethiopian singer, actress, and krar (ክራር, a 5-6 stringed pentatonic Ethiopian lyre) player for the Ethiopian National Theatre (formerly the Haile Selassie I Theatre). 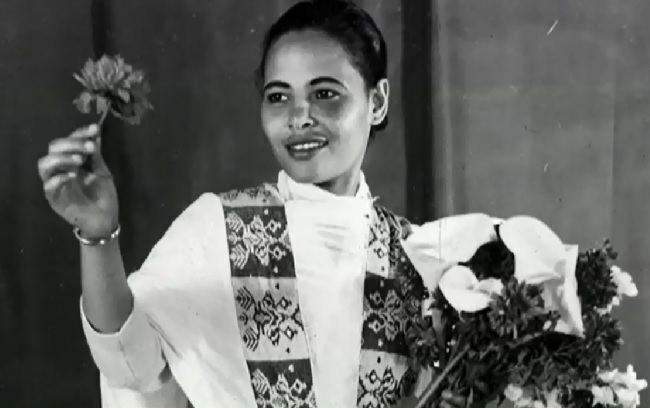 Her career spanned from the early 1950s to the 1980s, and she is credited for being Ethiopia's first actress to appear on the professional stage. Given the links between the theatre and immoral lifestyles in Ethiopian popular imagination as well as limited space for women in Ethiopia's public sphere, many saw Asnaqetch's appearance on the national stage as revolutionary and laud her for transcending social boundaries. Her krar-playing is also notable, since it is usually men who play musical instruments in Ethiopian society. The first song on this playlist, "Ende Eyerusalem," is one of her more well-known songs. The lyrics express the singer's frustrations and lament over the lost love of a married man: "Like Jerusalem, Axum, and Zion / He left after I bowed down before his eyes and teeth / Like the red pepper, let me stroke him / I was wrong to love someone who obsesses my mind / Words are not actions / I have come to the point of desiring him and his wife at the same time..." (translation from Falceto's Ethiopiques 16 liner notes, listed in bibliography). This recording features Asnaqetch singing solo and accompanying herself on the krar. Her playing technique alternates between plucking and strumming the strings. The song is set in an Ethiopian scale called "Anchihoye" (አንቺሆዬ), a 5-note scale that emphasizes the tritone. The second video is a live performance aired on Ethiopian national television. The song "Tizita" means "Nostalgia," a popular traditional song genre expressing sentiments of loss and longing. Like the first track, this also features Asnaqetch's solo voice, accompanying herself with a plucked technique on the krar. Eyre, Banning. 2016. “Francis Falceto-Ethiopia: Empire and Revolution.” Afropop Worldwide. September 15, 2016. http://afropop.org/articles/francis-falceto-ethiopia-empire-and-revolution. Falceto, Francis. 2004. Ethiopiques 16: Asnaqetch Werqu, the Lady with the Krar. CD liner notes 822652. Buda Musique. Kebede, Ashenafi. 1977. “The Bowl-Lyre of Northeast Africa. Krar: The Devil’s Instrument.” Ethnomusicology 21 (3): 379–95. https://doi.org/10.2307/850725. Teffera, Timkehet. 2011. “The Six-Stringed Bowl Lyre Krar of Ethiopia and Its Function as a Melody Instrument.” In Studia Instrumentorum Musicae Popularis II, edited by Gisa Jähnichen, 269–86. Münster: MV Wissenschaft. http://www.academia.edu/7152234/Timkehet_Teffera_2011_The_Six-Stringed_Bowl_Lyre_Krar_of_Ethiopia_and_its_Function_as_a_Melody_Instrument._STUDIA_INSTRUMENTORUM_MUSICAE_POPULARIS_II_New_Series_2011_269-286. 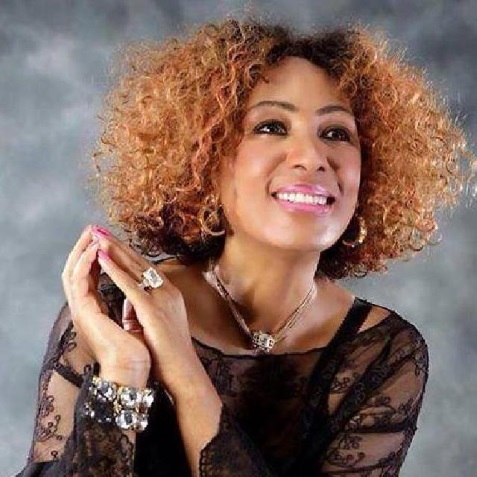 Ethiopian singer Aster Aweke has had a long, illustrious career and a prolific musical output. Born in Gonder in 1959, one of Ethiopian's northern regions, she moved to the capital city, Addis Ababa, as a child. In Addis, she began singing with Ethiopia's national Hager Fikir Theatre and in various clubs. When the communist Derg regime came to power in Ethiopia in 1974, they began implementing policies that were oppressive to artists, prompting Aster to relocate to the United States. She still resides in the US, recording and performing for the diaspora as well as returning to Ethiopia to put on concerts. The most striking aspect of Aster Aweke's music is her voice. Flexible, melismatic, and with a distinctive timbre, her vocal style reflects influences from singing styles in her home province as well as international styles such as American soul. Ethiopian listeners have labeled her, "Alk'ash" (አልቃሽ), which translates as "one who mourns," due to the high emotional valence and sensitivity of her voice. Instrumentally, most of her tracks feature synthesizers, horns, and occasionally traditional Ethiopian instruments such as the krar. Musical scales and rhythms are most often drawn from northern and central Ethiopian styles: the fast triplet rhythm that is the basis for so much Ethiopian music features prominently in many of her songs. Her albums often include a mixture of these danceable tracks with slower, soulful ballads. Song subjects focus most often on love. The first song on the playlist below, "Selale," uses a melody from the Amharic wedding song repertory but with Aster's own lyrics. The major pentatonic scale and the prominent horns on this track are both common musical elements in contemporary Ethiopian music. The second song, "Y'shebellu," is from her self-titled 1989 album. Here, Aster utilizes a traditional Ethiopian scale and a highly melismatic vocal style common in much Ethiopian music. (Fun fact: this track is sampled on The Weeknd's "False Alarm.") The second track, "Wuha Wuha," from her 2013 album Ewedihalehu, combines Ethiopian instruments－the masink'o (a 1-stringed fiddle) and washint (shepherd's flute)－with synthesized brass and the Ethiopian "chichika" rhythm. Kebede, Ashenafi. 1991. "Review of Aster Aweke." Ethnomusicology 35 (1): 157–60. https://doi.org/10.2307/852413. “Ewedihalehu.” 2014. Afropop Worldwide. February 11, 2014. http://afropop.org/articles/aster-aweke-ewedihalehu. “Ethiopian Singer Aster Aweke’s Latest Album ‘Checheho.’” 2011. PRI’s The World. Public Radio International. https://www.pri.org/stories/2011-09-01/ethiopian-singer-aster-awekes-latest-album-checheho. Harrington, Richard. 1990. “Ethiopian Soul.” Washington Post, October 11, 1990. https://www.washingtonpost.com/archive/lifestyle/1990/10/11/ethiopian-soul/100df2b4-5391-4995-b7e8-2003e7719379. Harris, Craig. n.d. “Aster Aweke: Biography & History.” AllMusic. Accessed November 13, 2018. https://www.allmusic.com/artist/aster-aweke-mn0000604783/biography. Maryam Mursal is a Somali musician who began her career as a singer in Mogadishu in the 1960s, performing with Waaberi, Somalia's national music group. When Siad Barre came to power in Somalia via a coup and began implementing oppressive state policies, Mursal began singing political songs, which resulted in her being banned from performing. To support herself and her family, she began driving a taxi until finally, in 1991, she fled the country with her five children, undertaking a seven-month journey by foot to Djibouti. She and her children eventually received refuge in Denmark, where she signed with Real World Records and recorded two albums, New Dawn (with other former members of the group Waaberi, released in 1997) and a solo album, Journeys (1998). Mursal's musical style reflects the Somali-inflected cosmopolitanism of Mogadishu, blending North African, sub-Saharan African, and global popular musical elements. The first track on the playlist below, "Somali Udiida Ceb" ("Somalia, Don't Shame Yourself"), a criticism of the unrest in her home country and praise for its beauty, is representative of this fusion, blending North African and Arabic ornamentations and tonal inflections, sub-Saharan pentatonicism, and global pop-inspired beats and synthesizers. The second song, "Qax," describes her seven-month journey from Somalia to Europe. Eyre, Banning. 2014. “Lidwien Kapteijns: Love Songs at the Dawn of Somalia.” Afropop Worldwide. March 27, 2014. http://afropop.org/articles/lidwien-kapteijns-love-songs-at-the-dawn-of-somalia. “Maryam Mursal.” Real World Records. Accessed November 12, 2018. https://realworldrecords.com/artists/maryam-mursal/. Known as "Mama Africa," Miriam Makeba (1932-2008) was a South African singer and political activist and perhaps one of the continent's most famous musicians. Makeba grew up in apartheid South Africa. She began her musical career in the 1950s, singing a combination of American popular songs, jazz, and South African songs with various vocal groups. While on international tour, she met American singer Harry Belafonte, who became her mentor and helped her advance her career as a solo artist. While Makeba was living in the United States, South Africa revoked her passport, fearing her music was becoming too critical of the apartheid regime. In exile, she became still more outspoken against the South African government and also became involved in the US Civil Rights Movement. Though banned from returning to South Africa, she traveled widely to perform all over the US, Europe, and Africa, and her touring and activism helped serve as a link between anti-apartheid struggles and the American Civil Rights movement. 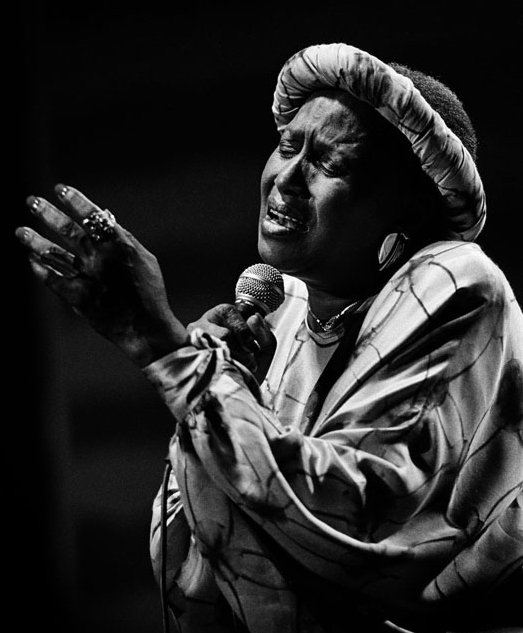 Makeba's musical style reflects her diverse inspirations and experiences: South African jazz and popular music, traditional Xhosa music, and American jazz influences feature prominently. The first track on the YouTube playlist below, "Pata Pata," is one of her most famous songs. The second track "Qongqothwane," (also known as "The Click Song") is Makeba's rendition of a traditional Xhosa wedding song. The men's vocals underlying this track are a common stylistic element in South African genres such as isicathamiya, male a cappella vocal music developed in the twentieth century. You can hear similar vocals on the following track, "Mbube." ("Mbube" is most widely recognized as "The Lion Sleeps Tonight," but it was actually originally created and recorded by South African choir leader and singer Solomon Linda in the 1930s. Makeba's version is one of many). The fourth track on the playlist, "Malaika" ("My Angel") is a cover of a Swahili song from Tanzania, illustrating Makeba's pan-African sensibilities. The remaining videos are from one of Makeba's performances with Paul Simon's Graceland album tour in 1987, followed by an interview with Makeba in which she speaks about her exile and return to South Africa, her early musical experiences in her youth, and her stance on politics and activism. Allen, Lara. 2008. “Remembering Miriam Makeba.” Journal of the Musical Arts in Africa 5 (1): 89–90. https://doi.org/10.2989/JMAA.2008.5.1.6.789. Kaurismäki, Mika. 2011. Mama Africa. Documentary Film. https://www.miriam-makeba-movie.com/. Makeba, Miriam, and James Hall. 1988. Makeba: My Story. New York: Dutton Adult. Makeba, Miriam, and Nomsa Mwamuka. 2004. Makeba: The Miriam Makeba Story. South Africa: STE Publishers. “Miriam Makeba Official Web Site.” 2018. http://www.miriammakeba.co.za. Pareles, Jon. 2008. “Miriam Makeba Was the Voice of South Africa Through Apartheid and Beyond.” The New York Times, November 10, 2008. https://www.nytimes.com/2008/11/11/arts/music/11appr.html. Sizemore-Barber, April. 2012. “The Voice of (Which?) Africa: Miriam Makeba in America.” Safundi 13 (3–4): 251–76. https://doi.org/10.1080/17533171.2012.715416. Please note that I do not own the rights to the photos on this web site and was unable to locate their copyright holders. If anyone finds the use of this media to be in violation of copyright, please notify me, and I will remove them promptly.